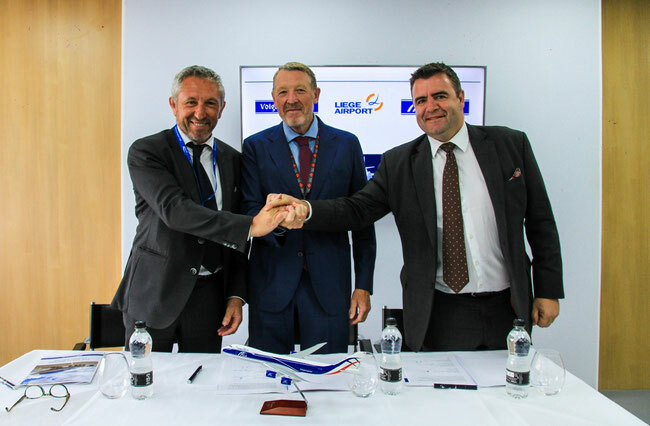 Volga-Dnepr Group (VDG), which includes its line-haul daughter AirBridgeCargo Airlines, and its British subsidiary CargoLogicAir (CLA) have inked a Memorandum of Understanding on Strategic Cooperation with Liege Airport for the development of a regional hub and the enhancement of freighter capacity. Today, the champagne must be flowing at Liege because the Walloon airport received a knighthood from the Russian Volga-Dnepr Group and its British subsidiary CargoLogicAir to become their future European regional hub. This means that most of the carrier’s traffic in and out Europe will be bundled at Liege. This will happen within the next three to five years, the three parties announced today (18 July) in a joint statement. 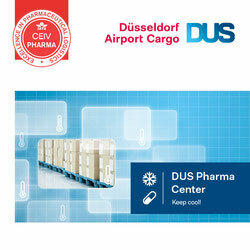 Once the hub is established, up to 30 freighter flights per week operated either by V-D or CLA will be handled at LGG. This includes the transport of special cargo, such as very heavy or outsized loads fitting particularly in Volga-Dnepr’s mighty Antonov 124 freighters. The trio announced that they will make strenuous efforts to establish the regional hub within the next three to five years. All flights will be supported by maintenance facilities to be built on the airport’s premises. Liege airport will support both companies in opening up new routes and establishing the communication channel with competent government authorities for smooth operations both with other European airports, as well as worldwide. On top of this, Liege will provide their new clients with sufficient ground handling, warehousing and office areas for smooth coordination and operation of their freighter flights. “We have been looking at all possible options to set up a regional hub in Europe and have set our eyes on Liege for a good reason. The airport has an advantageous geographic location. It has been a great supporter of freighter carriers, which coupled with technical equipment and motorway accessibility make it an ideal cargo destination,” highlighted Aleksey Isaykin, president of Volga-Dnepr Group on the occasion of the announcement. In contrast to competitors like Frankfurt or Dusseldorf, Liege offers airlines 24/7/365 accessibility. This goes hand in hand with a large number of unused commercial premises enabling customers to build maintenance facilities and office space right on the spot, if required. Given the advantages Liege offers, which include the geographical proximity to the highly industrialized regions on the other side of the German border, it is not surprising that Volga-Dnepr Group line-haul member AirBridgeCargo will bundle their European traffic there as well in the not too distant future. As previously reported by CargoForwarder Global, ABC is looking for a Central European hub for some time. David Kerr, Chief Executive Officer of CargoLogicAir said: “The development of a European hub in Liege will boost our cargo services, covering major catchment areas of Europe for the convenience of our customers. We will be able to guarantee high-end services based on a reliable partership with Liege airport, which is not only one of the most cargo-friendly airports, but also shows significant steps of development in air cargo handling – the area of paramount importance for carriers which aim for quality, speed, and safety.” The manager left open, if CLA’s headquarters at London Stansted will be affected by the Liege decision and move over to the Belgian airport as well. This is a tremendous bonus for Liege which has been continually expanding its cargo presence as one of Europe’s most important cargo airports. However, some of their present clients may well now start to wonder how much priority their services will be able to become from Liege once an additional 30 or more weekly cargo flights are added and the Russian managed carriers become by far the largest customer at the airport as regards volumes and frequencies. Or - will Liege have to look closely at creating a new and dedicated handling unit for the VD group operations which may well expand in the future for the handling of VD’s large AN-124 freighters? 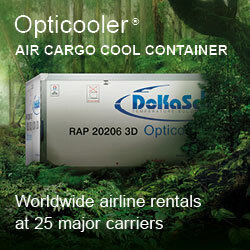 Another question arises as to the future base of CargoLogicAir (CLA) which is now stationed at London-Stansted Airport. It is no secret that CLA has been mulling over the future main base issue with regards to the upcoming Brexit and the problems British based carriers may face in the future. I need ti share this article via e-mail, how can I do that? Our advice: Pls send the entire NewsMail to your addressee and ask him to click on "read more" beneath this report.